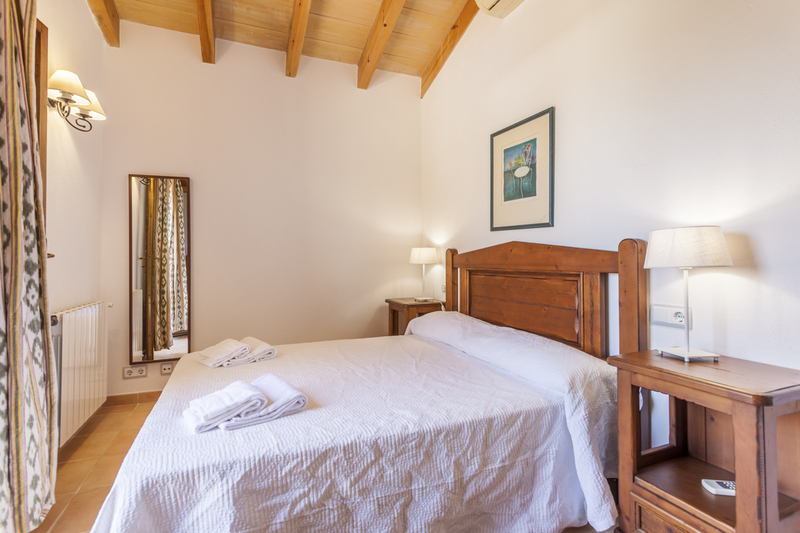 Filled with bright and spacious rooms, Villa Lirio is a beautiful Mallorca retreat. 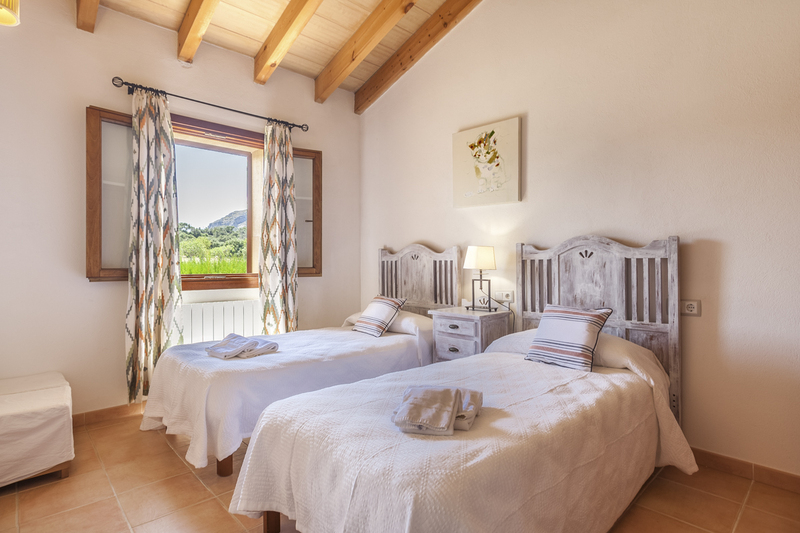 Finished to the highest standard and located between the charming towns of Alcudia and Puerto Pollensa it is hard to find a better base from which you can explore this stunning island. Comfortably accommodating eight guests, there is plenty of space both inside and out for a large family or group of friends. Inside this stylish villa, the living spaces are spread over two floors. The furnishings are modern throughout, with each room offering a relaxed, stress-free atmosphere that you can truly settle into. On the ground floor the communal living spaces are all separate, so while there is plenty of room for everyone to come together in each area, there is also the opportunity to find quiet moments alone. The kitchen is well-equipped and ready for your use, ideal for preparing large meals to enjoy on the terrace, or picnics to take down to the beach. The dining room offers plenty of space for entertaining, while the lounge is perfect for putting your feet up and completely relaxing! There is also a double bedroom and a twin bedroom, sharing a family bathroom on this floor. As you step up to the first floor, the views from each room and the beautiful terraces are far-reaching, looking out over the surrounding, unspoilt nature towards the scenic mountains in the distance. This floor boasts two lovely bedrooms. 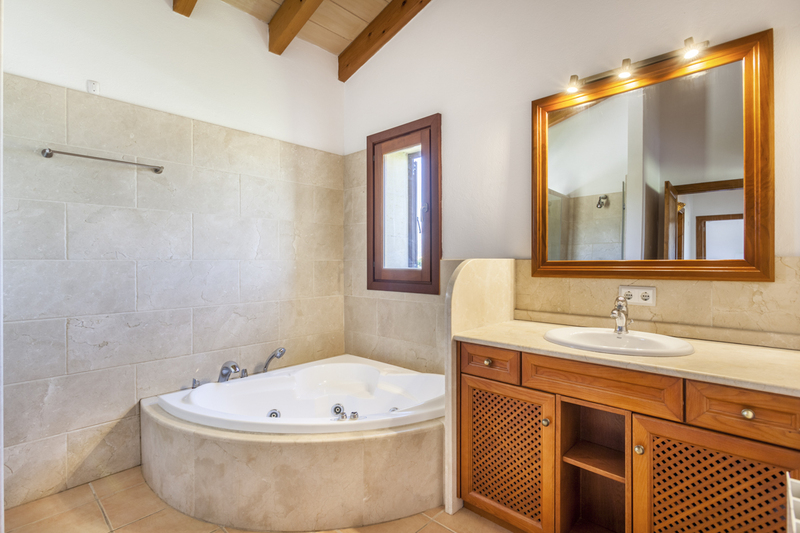 The double bedroom has its bathroom with a luxurious jacuzzi, and the adjacent twin room makes use of a separate shower room. The gardens that surround this picturesque property have been manicured and landscaped by skilled local architects and also include a beautiful fountain. Boasting a relaxing private swimming pool, plenty of space to dine and cook al-fresco and room for romantic evening strolls through the gardens; there is nothing left to be desired at Villa Lirio. 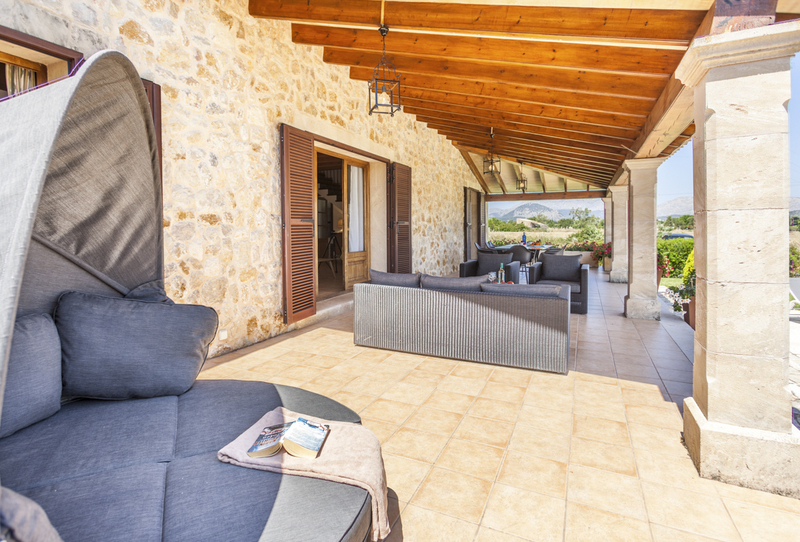 Located in a tranquil area between the famous towns of Alcudia and Puerto Pollensa, Villa Lirio offers an excellent base for exploring the beautiful island of Mallorca. The villa sits nearby to family-friendly sandy beaches, breathtaking mountain landscapes, peaceful countryside, spectacular coastlines and buzzing resorts. 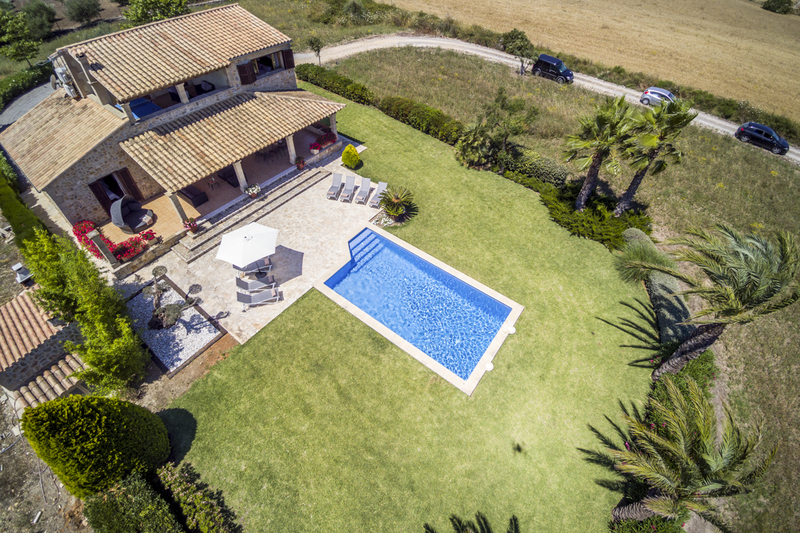 The villa offers far reaching country views, with the dramatic mountainous headland in the distance. With an abundance of sites of historical interest, Mallorca merely is perfect for culture cravers! 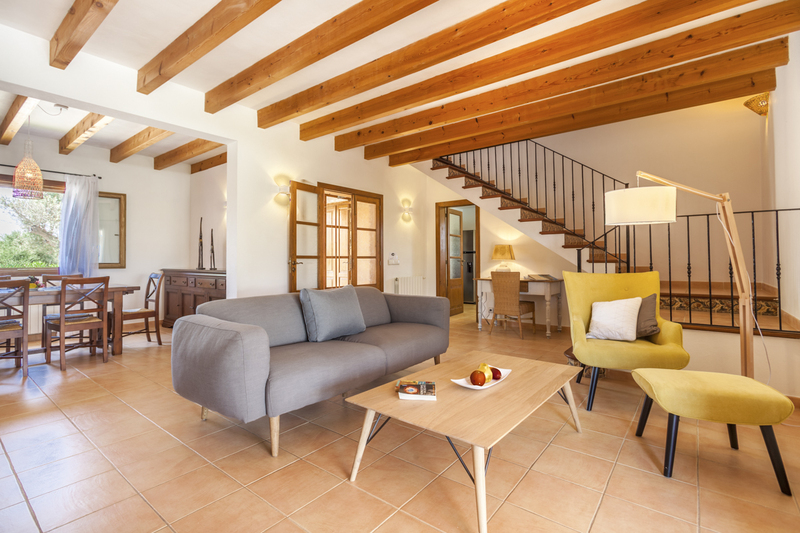 With the island’s rich historical heritage, a villa holiday in Mallorca offers visitors a chance to explore the many ancient settlements and seek out all of its hidden treasures. It is a fantastic, cultural and picturesque destination. There are also plenty of opportunities to play a round of golf while holidaying in Mallorca where you will discover some excellent championship golf courses, with no less than 23 sessions on the island, offering a variety of different challenges for the keen golfer. The charming town of Pollensa is just a short 15-minute drive away. Attracting visitors from far afield, the famous weekly market in Pollensa is a particular delight and takes place every Sunday morning in the town’s main square. Offering up an abundance of local goods and produce, from fruit and vegetables to antiques and handicrafts, the market also provides a good reason to sit in one of the many bars or cafes and have some tasty tapas and thirst-quenching refreshments. Along with broad promenades and marina, the popular seaside resorts of Puerto Pollensa, Alcudia and Cala D’or all offer a vast and eclectic selection of places to eat, drink and relax, as well as providing some wonderful family-friendly beaches. For nature lovers, a holiday in Mallorca presents the perfect opportunity to view the abundance of nature that Mallorca is renowned for. Cycle trails, which take you from the beachfront to the mountainside, are an excellent way to see the island. Bicycles are available to hire locally from around €8 to €20 per day. Just a short drive away from your villa you will find the ‘Parc Natural de S’Albufera’, a wildlife reserve housing thousands of wild plant and bird species. If you’re an animal lover, then one of our luxury villas in Mallorca provides the perfect base from which to enjoy this stunning menagerie.